Your HVAC system works like your lungs, breathing air in and back out again. The air travels through the ductwork and filter. When your ducts and filter are clean, contaminants are removed before the air is recirculated. If you don’t schedule regular vent cleaning, however, all those pollutants from your dirty ductwork are continually circulated throughout your home. Dust, dirt, pet hair, and other debris clog your air ducts and vents, preventing your HVAC system from heating and cooling efficiently. As a result, your system has to run longer to cool or heat your home, using more energy and fuel to do so. When this happens, you’ll notice your utility bills are higher than usual. Scheduling a thorough air duct inspection and vent cleaning can return your utility bills to normal levels. When your HVAC system has to run longer and work harder to heat and cool your home, it will suffer wear and tear more rapidly. This can lead to costly repairs and could even mean replacing the whole unit sooner than expected. Keeping your vents clean will help you avoid the need for costly repairs and extend the life of your whole HVAC system. On top of the costs associated with dirty air ducts, they also pose serious health risks for you and your family. Dust and dirt in the air contain bacteria, allergens like pollen and mold, chemicals like formaldehyde, and more. If someone in your family already suffers from allergies or asthma, dirty air ducts can worsen their symptoms. Even those who typically don’t suffer from allergies, asthma, or sinus problems may develop them due to the prolonged exposure to dirt and dust. There’s also a risk of frequent sinus infections and respiratory infections. 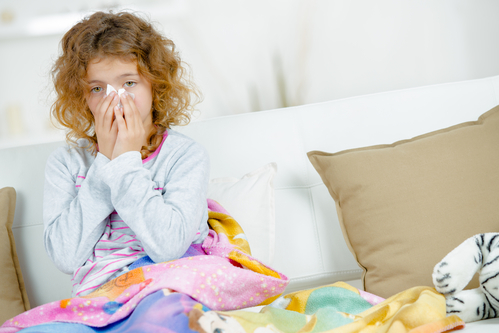 If you and your family get sick often for no apparent reason, schedule an air duct inspection and vent cleaning. Whether you have unexplained sinus infections or saw a spike in your utility bills, the professionals at Vent Busters in Meggett, SC, can help. They can perform a thorough air duct inspection and vent cleaning so you and your family can breathe in clean air once more. They recommend cleaning your air ducts and vents every three to five years, but you may need more frequent service if you have pets or a member of your family suffers from severe asthma or allergies. Give them a call at (843) 609-6517, or go online to schedule a free estimate.